Maintaining a tan at home is the constant struggle…am I right? 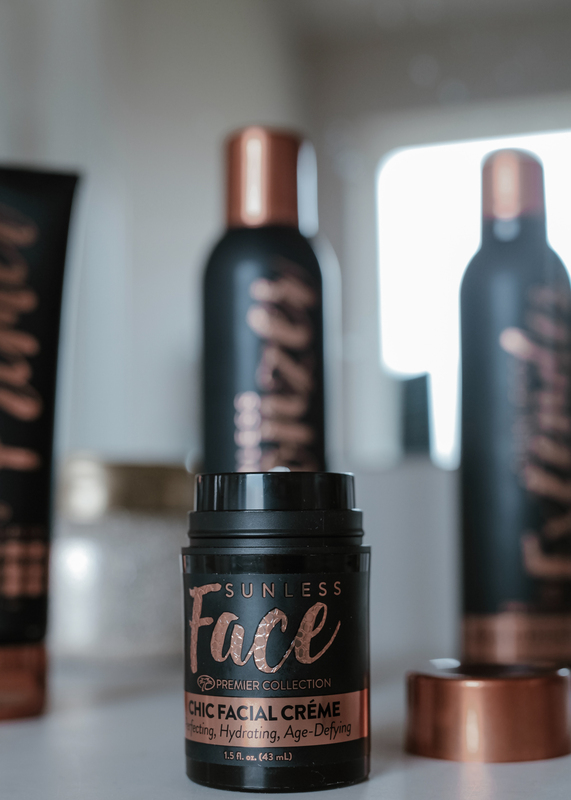 In between spray tans and the occasional tanning bed session, I’m constantly trying out new products to see what can help me prolong my fake tan the best. A lot of you have asked me which self-tanner products I use at home and how I apply for maximum results. 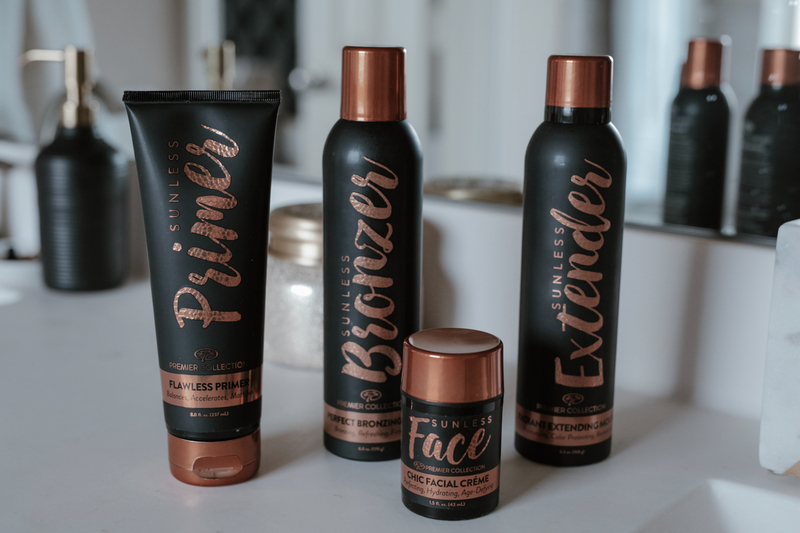 Lately I’ve been using these Palm Beach Tan products from their Sunless Black Label Premier Collection and today I’m going into detail on these products, how I apply them, my opinion on each, and sharing my favorites. Be sure to scroll all the way to the bottom for a fun giveaway!! This product is like a silky gel that leaves your skin feeling like velvet! I always bring this with me and apply right before I get my spray tan. You are supposed to wait at least 60 seconds after applying before you get a spray tan, so I just wait until it feels dry! I also use this when I’m doing a spray tan at home and apply right before. I’ve noticed that it helps the spray tan penetrate my skin better and makes for a deeper/darker tan! 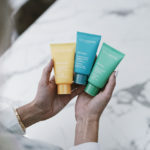 Before finding this product I used to use regular lotion to moisturize so my skin wasn’t dry and thought this would do the same, but I actually think I was creating a barrier and preventing the self-tanner from penetrating my skin. This definitely prolongs the tan and I highly recommend! This is one of my favorites from the line! I love the smell and even though it’s a self-tanner lotion, it feels so smooth going on your face. Usually my skin is sensitive and pores clog up easy when I use anything other than my regular skin care regimen on my face, but I’ve been having great success with this. I always keep my face out of the sun and try to wear 50 SPF at all times, so my face sometimes looks extra light in comparison to my body. I started applying this 4x/week and have noticed a tremendous difference in my face color blending much better with my neck & body. After your spray tan has been on for a week, there’s nothing worse than looking like a dry, scaley snake (please tell me you know what I’m talking about). So after my last spray tan I immediately started using this tan extender and I really feel like it not only moisturizes my skin, but also fills in the missing color where my spray tan starts to fade! Overall, I can’t recommend these products enough. I know there are many self-tanner options out there and I’m always willing to explore, but this is what I’ve been using lately and am loving at the moment! Since I love these products so much, I’m teaming up with Palm Beach Tan to giveaway some exciting prizes! *This post was brought to you in collaboration with Palm Beach Tan. All thoughts and opinions remain my own. I have never tried sunless tanning, but it looks promising! I might have to give it a try now! iLL DEFINITELY HAVE TO GIVE THIS A TRY! My daughter loves the sunless tanning products. #PBTxSoSage This isa really nice giveaway. I have permanent spinal damage in my back so love contests where I have the possibility of winning and sharing prizes with family & friends & can just order online. I’m pasty white too & love the look of the tanning products, would love to try them. Thanks again & have a great day! Self Tanning lotions are my savior in the winter! I swear I invest a small fortune on it, but it’s worth every penny!! I have not tried this tanner before but would love too. I have had melanoma(yes the deadly kind) twice and know this is the only safe tan. Thanks so much for this opportunity. Also, I have gone through all of your ig photos and I do not see any pictures or even comments about this. Im sure I’m just blind but will you point me in the right direction please? Oh yeah! I need to get my tan on. I am huge fan of sunless tanning and this package rocks! Thanks for the chance #PBTxSoSage! Your tan always looks flawless! So excited to try these products!!! 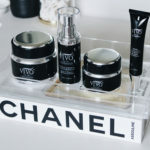 I am looking for products like these and really want to try it! I didnt think about getting a tan at home but sounds like a good idea now in winter. Thanks for your recomendations and suggestions, i will definetely try this. I have never tried a self-tan before. Always afraid I’m going to just look orangE! You seem to be rocking it well though! 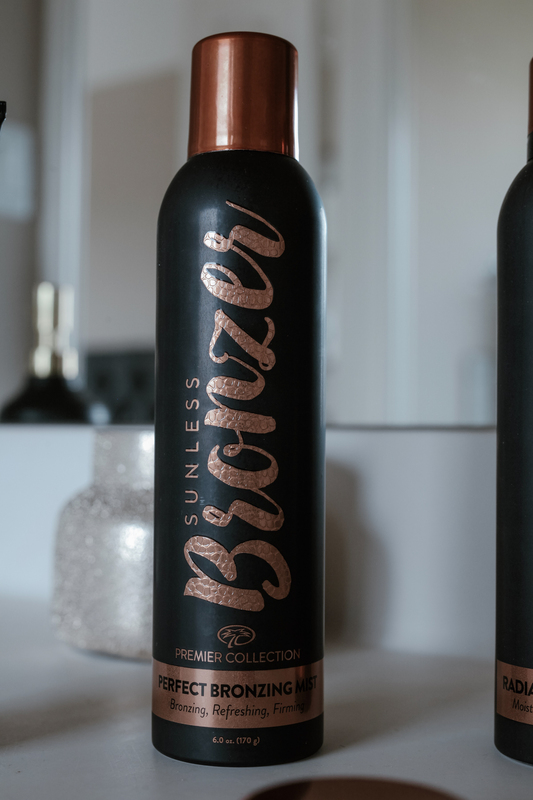 Can I use the sunless primer in a tanning bed?